A relaxing treatment that aims to stimulate blood circulation, improve lymphatic flow, and bring back thermal balance to body. Depending on a doctor’s order, the targeted area of treatment may vary (abdomen, or legs, or back, or shoulders). Also, metabolism improvement promotes detoxification. 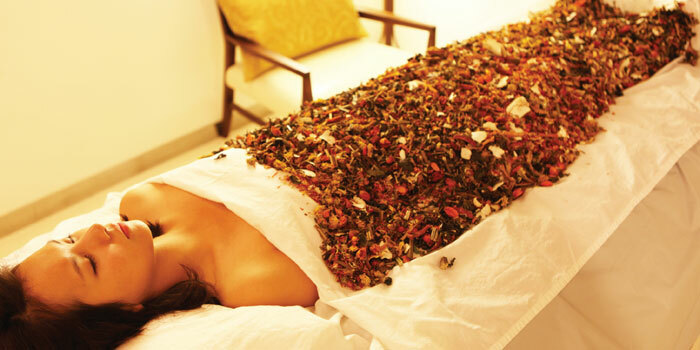 Herbs famous for its immune strengthening effects are used for special herbal body wrapping. The procedure tones up the skin and stimulates blood and lymphatic circulation. Whole body therapeutic massage helps to loosen up knotted muscles and promotes relaxation. The program helps to alleviate muscle tension and ache, boosts metabolism.